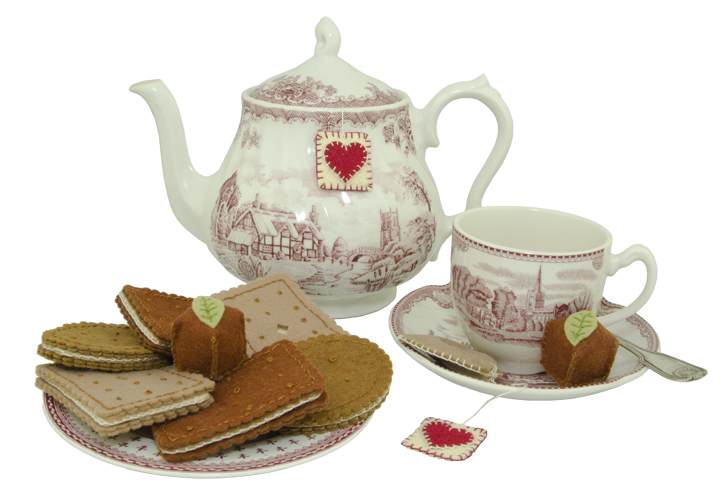 Imagine an English tea where you are served biscuits along with your favorite type of tea. You and a friend sit down, enjoy each other's company, enjoy a fine snack, and at the end of the tea, top it off with a fine chocolate. 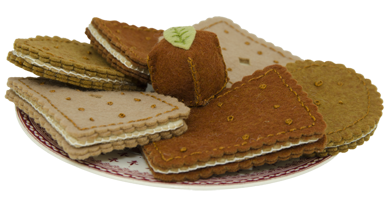 Being wool felt, the chocolate never melts, the biscuits never get stale, and the entire snack has zero calories. 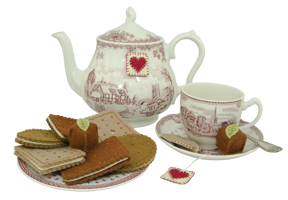 This pre-cut kit contains an assortment of biscuits or sandwich cookies, chocolates with mint leaves, and tea bags for two. 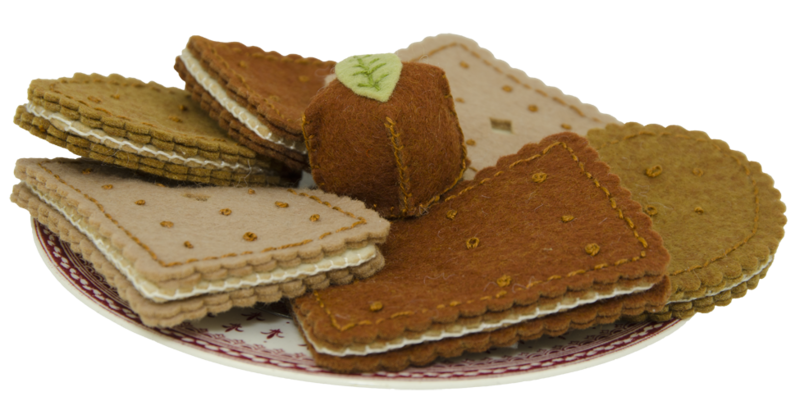 The kit contains precision pre-cut parts, needle, floss, stuffing and instructions.